Stations: G.D’s in Newcastle District. Detectives at Wallsend & Waratah Patrols. 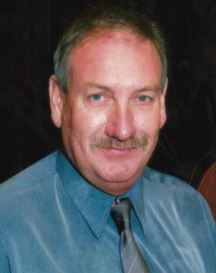 Dearly loved husband of DONNA, loving father of JANICE and GRACE, much loved son of AUBREY (dec) and HAZEL and son-in-law of BERNARD and JOAN (dec) FARRELL, adored brother, brother-in-law and uncle of LAUREL and LAURIE, BILL and MARIJA, GREG and COLLEEN and their FAMILIES. 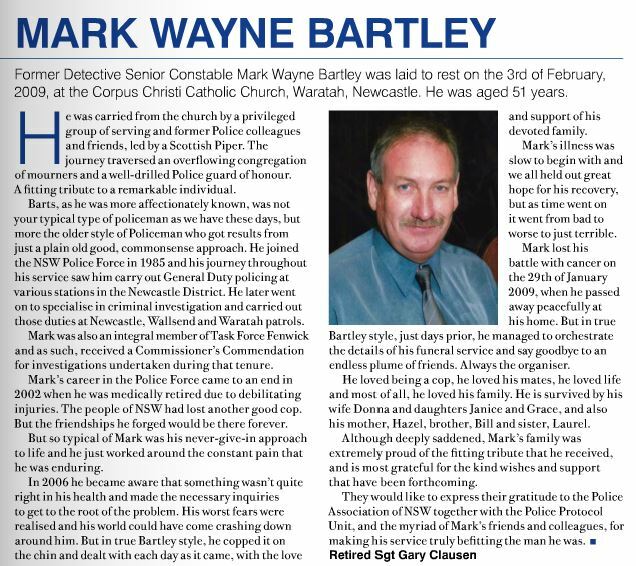 Family and Friends of MARK are invited to attend a Celebration of his Life this TUESDAY (3/2/2009) commencing at 10.30am in Corpus Christi Catholic Church, Cnr Bridge and Platt Sts, Waratah. A private cremation will follow this Service. In lieu of flowers, donations in memory of MARK may be left at the Church for Cancer Research.